Greencliff established by Dr Stanley Quek in 1994, is a Sydney-based agency specialising in inner city residential sales, rentals & property management services for some of Sydney’s most desired real estate. Greencliff also own, develop and manage a number of commercial retail premises across inner Sydney. Most notably, Greencliff has developed a new lifestyle precinct, Kensington Street, located in Sydney’s Chippendale & recently acquiring the Quadrangle Shopping Village on Sydneys Lower North Shore. Dr Stanley Queks vision with this project is to bring exciting new concepts to the area. The firm has an established track record of partnerships with notable global developers including Frasers Property Australia & Liang Court Holdings Ltd (now Capitalland). 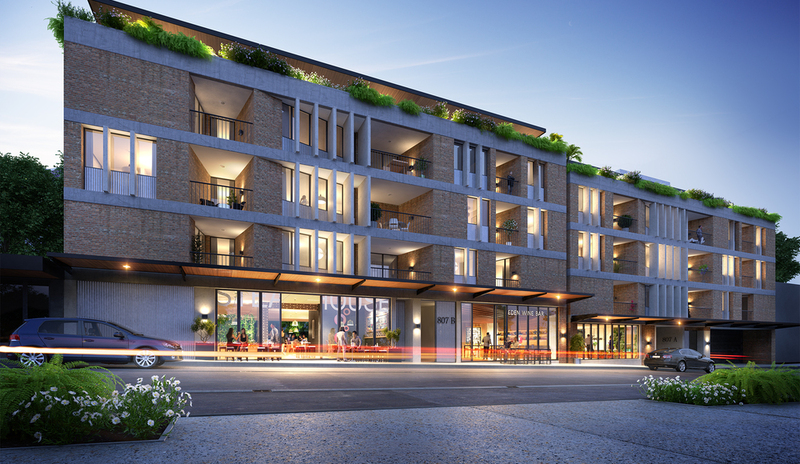 Designed by award-winning architects Candalepas Associates, Dulwich Green is a contemporary boutique development comprising a collection of high-end apartments inspired by the core principles of reputable Sydney developer, Haralambis Group. The two buildings are positioned to establish a beautiful private space, where lush gardens & trees surround quaint courtyards. Inner city quality is now available in this exciting inner west growth corridor. Many apartments are north facing, some with unique views of the city’s iconic CBD skyline. Other apartments provide extensive district views over the tree canopy of Dulwich Hill & to Botany Bay & the Blue Mountains. Located in Dulwich Hill within Sydney’s thriving inner west, Dulwich Green is just 11 km from the city centre & with multiple transport options on your doorstep, getting around is easy. Dulwich Green is just 8 minutes’ walk to Hurlstone Park train station & 10 minutes to Dulwich Hill Light Rail Station.